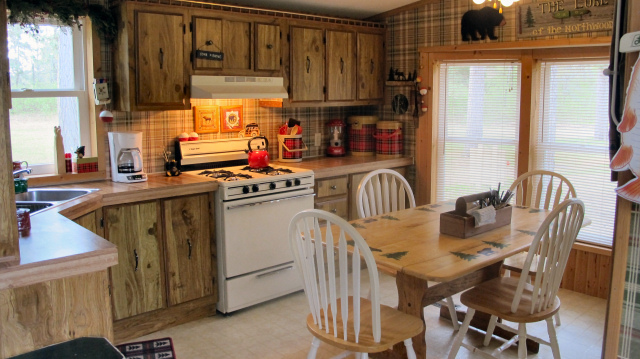 Nicely-remodeled 3-season manufactured home offering you an excellent northwoods vacation cabin! 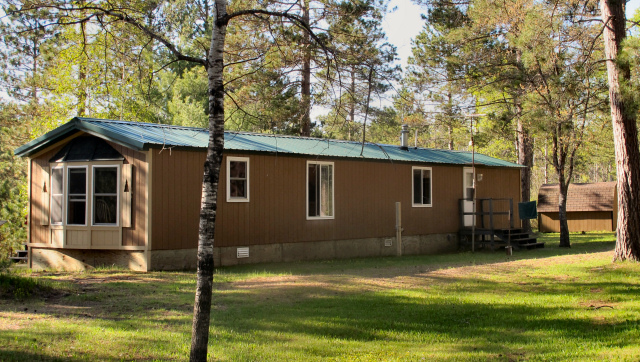 On over 5 acres of scenic wooded land for hunting or recreation and close to hundreds of aces of public land, wilderness area and quality lakes! Huge 24×30 pole-building for all your vehicles and toys, plus a storage shed. Metal roofs on home and garage. Might be easy to convert to 4-season. Come see this cute cabin! 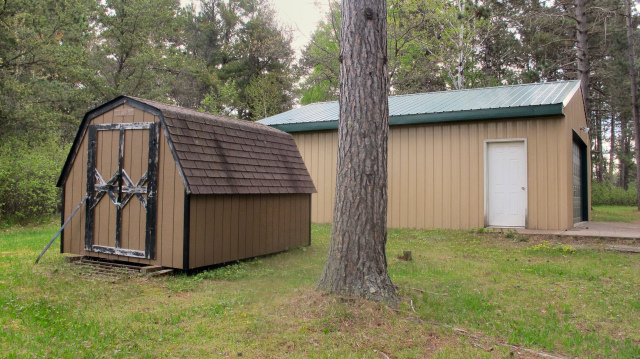 This entry was posted in Cabins For Sale Hayward, FEATURED PROPERTIES, wooded cabins and tagged atv trail cabins, cabins for sale in barnes wi, cabins in the woods, cabins near lakes, cathy lareau, low prices cabins for sale. Bookmark the permalink.